We live our lives through our experiences. We perceive ourselves through them, we estimate our potential through them and, knowingly or not, we define our fate through them. Yes, contrary to many beliefs, our destiny is not a fixed thing. We don’t need to be stuck in a stream of circumstances and perpetuate what’s no longer satisfying. It doesn’t take hard work or struggle to change what we want. 2 brothers were born to a wealthy family, in a prosperous and peaceful small country. The older brother was to inherit everything -- the title, the land, the fortune. The younger brother was to remain dependent on the older brother’s good will. All citizens in their country enjoyed their good fortune, and nobody had much to worry about. For centuries, they cultivated their traditions, repeating what has been proven to be beneficial for them. Nothing had ever been changed, as there was no need for “fixing what worked”. When the 2 brothers reached their maturity, the older brother was taking care of the estate, while the younger one was left to himself. For a few years he explored the land and its people. Soon it became clear to him that although everyone around him lived without worries, all were stuck in a stagnant life that began to “stale”. They had isolated themselves from everything new and fresh. And without progress, things begin to regress. The younger brother decided to change his fate and seek a better life. He learned that it was impossible to leave the country other than by a plane. Luckily for him, his brother owned one. The small plane didn’t need a long runway, but just as it was about to take off, he suddenly felt that something was weighing it down. He looked back and saw that it was his older brother trying to stop him from leaving by holding on to the plane’s tail. “Let go of me!” shouted the younger brother, but the older one didn’t want to do that. He was convinced that it was a big mistake to leave the comfort and safety of their homeland. The brothers struggled and wrestled with the plane for a while, before the younger one stopped the engine. He got off the plane and started to walk away. He only shrugged his shoulders and continued on his way. He wasn’t sure where he was going, yet he knew in his heart, that he was doing the right thing. Soon he reached a large patch of greenery, beside a small river. Without hesitation he entered the bushes. To his surprise he found a path. He followed it for a long time, without being able to tell what was in front of him. Finally the path led him to a steep hill. It seemed impossible to climb it. Although exhausted, he didn’t give up, and climbed the hill. There was a bridge on its top, spreading across the river. The younger brother looked down from the bridge, and saw everything that he had left behind. As he was contemplating his past, he felt rising joy. “I am free”, he whispered. “So this is how it feels”. He reached into his pocket, and found in it just a few coins. He counted them. Two strangers were passing by, and overheard his statement. “9 pennies”, repeated one of them, commenting to the other. “That’s plenty to change everything”. The younger brother quickly turned his head and greeted the strangers. He asked them how much money he needed to find a place to stay for the night. The younger brother nodded his head. With this small gesture he acknowledged his achievements and paid respect to the wise strangers. They welcomed him in their land, and generously invited him to stay at their home, until he found his own place. And that’s how the younger brother found a better life in the country where everyone had everything they wanted, just because they knew the power of thoughts. The 9 pennies in our story symbolize the 9 steps needed to be taken to change things. You can try this simple game below, applying it to a particular situation or obstacle in your life. Having fun is the only rule. The more fun you’ll have with the process, the more effective you will be. Description: In this game, you are the only player, and winner. You are playing against yourself. You cannot lose at this game: no matter what the outcome, you benefit and win, either by achieving your goal or by getting the necessary experience needed for the next round. Rules: Have Fun! The less you worry about the outcome, the more effective you are! Preparation: Find a nice and safe place in your home, or at work/school, where you can put either a nice box or container in which you will be collecting your 9 pennies. We will call your nice box/container “Better Life Account” (BLA), and we will call the coins you collect in it “Investment Pennies” (IPs). Your IPs will add up, at the end of each round, and give you the power to get anything you want: a better job, happy relationship, or fulfillment of your dream. NOTE: The IPs can get you only ONE thing at a time. If you have more things that you’d like to achieve, you will need to start a separate round for each goal. In each step, you will put (1) Investment Penny in your Better Life Account, and it will buy you the right thoughts needed for completion of each step. Put (1) IP in your BLA. You have now acquired thoughts allowing you to “get out of the box”. To complete Step 1, you need to be able to define clearly what limits you: is it your environment? The way you were brought up? The way others influence what you think, or do? You need to question your own motives, as well as clearly understand why and how others contribute to your situation through their opinions or actions. However, if you take longer than 6 weeks, it means that you are not ready to play this game. In such a case take a break, do what’s more important for you at this time, and return to the game when you are ready. Reference: The younger brother found his limitations, despite the illusory comfort he had in his life. He recognized the stagnation, and lack of freedom. STEP OUT OF THE BOX. HAVE FUN WITH IT! Have a look at what you have been doing thus far to change your situation. You most likely achieved little on none of what you wanted. Or, after getting what you wanted, things went back to what they used to be. Now you can see that the same actions will never bring you different results. Same action equals same outcome, no matter how many times it is repeated. Do not regret the time and energy you spent struggling and repeating pointless actions in the past! If you hadn’t done that, how would you know that it didn’t work? You need to assess the situation without second guessing. If you start doubting yourself, you will go back to your old pattern. Reference: The younger brother kept trying to take off in the plane, although it didn’t work. As obvious as it was, he didn’t realize for quite a while that the load was too heavy, since his older brother was weighing him down. He kept struggling, until he realized that he could not fly the plane like that. STOP DOING WHAT DOESN’T WORK. HAVE FUN WITH IT! Now you understand how important it is to let go of your “load”: the old luggage that weighs you down can manifest itself through your attachment to control. We all tend to believe we know what’s best for us. Either because of the way we were brought up, patterned by opinions and rules of our family or society, or simply because we fear that if we don’t control everything, it will not be good for us. To complete the third step, you need to open up to the unknown, and be ready for the adventure. If you procrastinate with this step beyond 2 weeks, you might not be able to continue this game. You will be stuck at Step 3, and soon the inability to complete it will end in frustration. NOTICE: Remember that you can’t lose at this game. If you get stuck at Step 3, and are not able to continue, you still gain experience! Nothing or no one can stop you from starting the game all over again, from Step 1, knowing how to play it better this time. Reference: The younger brother walked away from his comfort zone. He left behind the plane, and his brother, although it was the hardest thing to do. His reason was telling him that he would not survive out there, alone. Yet he chose to be open to new possibilities, and started his new adventure, although he could not control the way things could evolve. LET GO OF ALL THAT WEIGHS YOU DOWN INCLUDING YOUR COMFORT ZONE. HAVE FUN WITH IT! You have now acquired powerful thoughts of trusting your process and remaining loyal to your heart. Since you’ve gotten to this point, there is no doubt that you can stay on the road to a Better Life. No matter how long it takes, you will be walking ahead, until you get to the next step. Reference: The younger brother continued walking ahead, although there was nothing yet in sight. Determined, he kept going on until the circumstances changed and he got to the patch of greenery beside the river. FOLLOW YOUR HEART AND CONTINUE ON THE ROAD. HAVE FUN WITH IT! Now you will be able to recognize an opportunity as it presents itself to you. Often, on our road, a sudden unexpected event or a new situation occurs. It is important to recognize such a moment, and trust our intuition, instead of reasoning and making mental assumptions. If we feel it may lead us to our goal, it probably will. If we try to assess things mentally at this point, we will end up in a vicious circle of controlling and failing again. Only our heart knows what we need. Our mind has been patterned by our past and so it can make mistakes. Following one’s heart, through intuitive action has no place for logic, or mind control. Your fifth IP gets you the power to know the difference. Time Limit: Do it instantly! Timing is important here. When opportunity arises, you need to act immediately. Reference: The younger brother stepped into the greenery without hesitation. He couldn’t know what he would find there. Yet he decided to listen to his intuition, and took the risk. He was rewarded for his dedication to his heart, and he found a hidden path inside the bushes. FOLLOW YOUR HEART AND LISTEN TO YOUR INTUITION. HAVE FUN WITH IT! You are gaining powerful thoughts of faith. Once you have followed your heart, and listened to your intuition, have faith! The new path you stepped on, after you went through the door that had opened in front of you, will lead you closer to your goal. Yes, you might sometimes end up detouring, and taking longer than you anticipated. However, later on you will realize that there was a benefit in that. Remember, everything happens for a reason. The journey might be more important for you than achieving the goal. Your journey will take as long as needed. Reference: The younger brother followed the path in the bushes, although he couldn’t see where it was leading. He had faith, never gave up, and so the path took him to the hill, which was the next milestone on his journey. You too will get to the next step. Trust and have patience. TRUST, TRUST, TRUST. YOU ARE GETTING THERE! HAVE FUN WITH IT! In this step you learn empowering thoughts that give you extra strength -- physical, mental or emotional -- when you need it in crucial situations. There will be moments, at any point of your journey, when you will be required to make an extra effort, despite your exhaustion. It is important to remember that no matter what, we are capable of doing what’s needed. We have the strength. With no exceptions, all of us can perform under stress, and be at our best, at any point. We are the heroes. Some tasks take longer than others. You can definitely do it, no matter how long it takes! Reference: The younger brother climbed up the steep hill although he was very tired. He didn’t give up, found his strength, and got closer to his goal. KNOW THAT YOU HAVE THE POWER. YOU CAN DO IT, NO MATTER WHAT IT IS! HAVE FUN WITH IT! There will be a point in your journey, when you will take a good look at what you have achieved, and what’s behind you. In this step you learn to have perspective, and distance yourself from your past, and your efforts. It is very important to concentrate at what’s at hand, and live in the present, instead of celebrating the victory before reaching your goal. Stay alert and pay attention to the present. Remember, the game is not over, until it is over! NOTE: It might be several moments when you will be looking back, or assessing your present situation. Reference: The younger brother didn’t dwell in what he had achieved while looking back at what he had left behind. He kept a distance from his past, and stayed alert. That’s why he didn’t miss the strangers passing by. Had he let himself indulge in his achievements, forgetting to pay attention to the here and now, he would have missed the friendly men, and the opportunity to be accepted in their land. DISTANCE YOURSELF FROM YOUR PAST AND ACHIEVEMENTS. STAY ALERT AT ALL TIMES! HAVE FUN WITH IT! Put (1) IP in your BLA . The last step will help you to recognize and accept your victory. It is important that our thoughts give us permission to succeed. There are many examples of new fortunes that crumbled over night, relapses of dreadful illnesses, or self-distraction while having fame, careers or relationships that started very promising. Our own thoughts may easily sabotage everything that we achieve. Why is that? It takes some time for our brain to create new neuropaths which are associated with our emotions about the new situation. And, it takes approximately six weeks to develop new thoughts and new habits. That’s why even when we succeed, we continue repeating the same old patterns all over again. Remember: our thoughts create our reality, determining what we feel, and what we do. By perpetuating the same thoughts, we create similar events. We need six weeks of repeating new thoughts, in present time, to get used to the new situation. This step cannot be sped up. Skipping this step might result in losing what you have achieved. You have arrived! You got what you wanted! Get used to it, because it’s yours. TAKE TIME TO GET USED TO YOUR SUCCESS. USE PRESENT TIME WHILE AFFIRMING YOUR NEW SITUATION. HAVE FUN WITH IT! Now you can keep the coins you put in your Better Life Account to always remind you that IT TAKES ONLY 9 PENNIES TO CHANGE EVERYTHING. At the end of Step 9, after 6 weeks, you might be ready for another round of the game. Keep winning, and never forget to HAVE FUN! 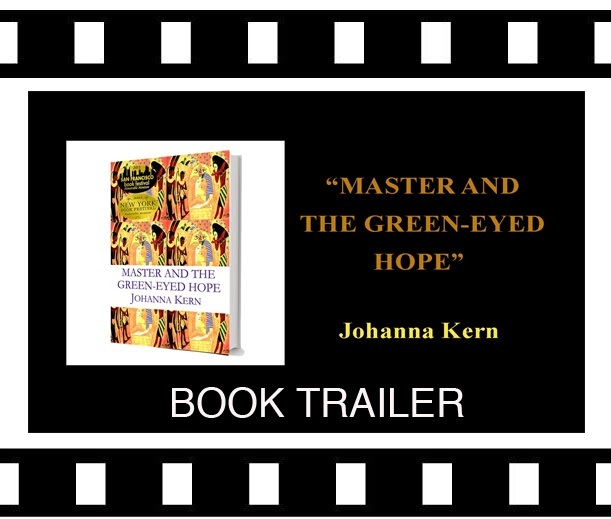 To learn more about fun and easy ways of improving your life stay tuned for Johanna Kern’s upcoming book The Keeper & The Chamber of 7 Powers.